Online ordering menu for Bustas Burgers (Crosby). 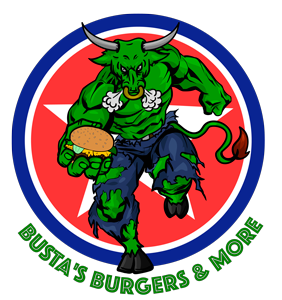 We serve a variety of burgers here at Bustas Burgers such as the Bacon Hamburger, Hot Cheeto Burger, and Shroom & Swiss Burger. Our menu also offers salads, and wraps. We're near the Crosby Sports Complex on Main Street. The Crosby Library and Crosby Plaza are less than a mile away. Order online for carryout or delivery!